The South Coast region of KwaZulu-Natal, South Africa, is approximately 30 minutes’ drive south from Durban, starting at Scottburgh until Port Edward. It’s known as the Paradise of the Zulu Kingdom, because of its lush, green coastal and hinterland vegetation and subtropical climate. The sunny weather and warm Indian Ocean make the South Coast a popular local and international holiday and business tourism destination. The coastal areas of Scottburgh, Rocky Bay and Pennington all offer popular beach resorts, golf courses, nature reserves, fishing spots and loads of holiday entertainment for the whole family. Scottburgh is well-known as a launch site for the Marine Protected Area, Aliwal Shoal, which offers unsurpassed diving and shark cage diving. Pennington is home to the 200-hectare Umdoni Park, a protected indigenous coastal forest. Running, hiking and mountain bike trails can be found at nearby Rocky Bay, for those who want to experience the beauty of the area in an interactive way. This stretch of coastline boasts three Blue Flag Beaches at Hibberdene, Umzumbe and Southport. Escape to the hinterland and you’ll find one of the most breathtakingly beautiful and ecologically extraordinary regions of South Africa—Oribi Gorge. This spectacular gorge, which can be viewed up close on hiking and mountain biking trails and from various viewing sites, features rock formations over 365 million years old. Oribi Gorge is also known as an exceptional adventure destination with the world’s highest gorge swing, the longest zipline tour in Africa, abseiling over beautiful waterfalls, exhilirating white water rafting and challenging suspension bridges to get those hearts pumping! The magnificent Ingeli forest near Harding also offers scenic mountain biking. The best-known area on the South Coast, villages such as Shelly Beach, Uvongo, Margate, Ramsgate and St Michaels on Sea provide families with endless opportunities to relax, pick up pretty shells, build sandcastles, play, swim and boogie board in the ocean waves or tidal pools. St Michaels beach is favoured for surfing, Uvongo for its waterfall, Shelly Beach for skiboat fun and fishing charters, as well as two large malls for those with symptoms of shopping withdrawal. Voted KwaZulu-Natal’s Town of the Year 2017 and home to the inimitable South Coast Bike Fest, Margate has a solid reputation as a happening beach destination. Sip cocktails on skybars overlooking the famous palm-treed beach and choose between many seafood and steak grills and pubs. Explore artistic Ramsgate, stopping for whale and dolphin viewing. 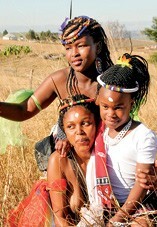 Turn inland, being sure not to miss the Nyandezulu Waterfall and the Gamalakhe Time Travel Experience. The southern-most coastal resort in KwaZulu-Natal, Port Edward is flanked by the dramatic Umtamvuna River Gorge. This region encompasses the ideal mix of country and coastal beauty and it’s not surprising that it’s a moviemaker and wedding organiser’s paradise. The Umtamvuna Gorge is also a spectacular adventurer’s playground offering nature trails, wakeboarding, skiboating, stand up paddling and many more adrenaline-fueled pursuits. Southbroom, on the other hand, offers sophisticated serenity with golf a central pursuit. Well-known eco estate, San Lameer, with its many activities is down the road. Marina and Trafalgar beaches are the Blue Flag beaches, offering an endless string of hidden bays and coves to explore. The glorious Mpenjati Nature Reserve is a 66-hectare animal and bird sanctuary. MacBanana will delight moms and kids alike, alternatively, try horseriding on the beach or fascinating agri tours, such as banana or coffee tours on local farms. 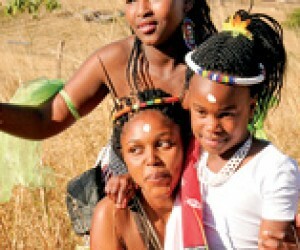 Be sure to explore authentic culture and heritage experiences from KwaNzimakwe to KwaXolo caves.